If you would rather mail in your order, click on the appropriate image below to print an order form. Or give us a call and we will mail one to you ASAP. Need help? Call us! We’re here at (734) 995-1486 from 9:00-4:00 EST, Monday through Friday. At other times, leave us a message and a good time to call – and we will! 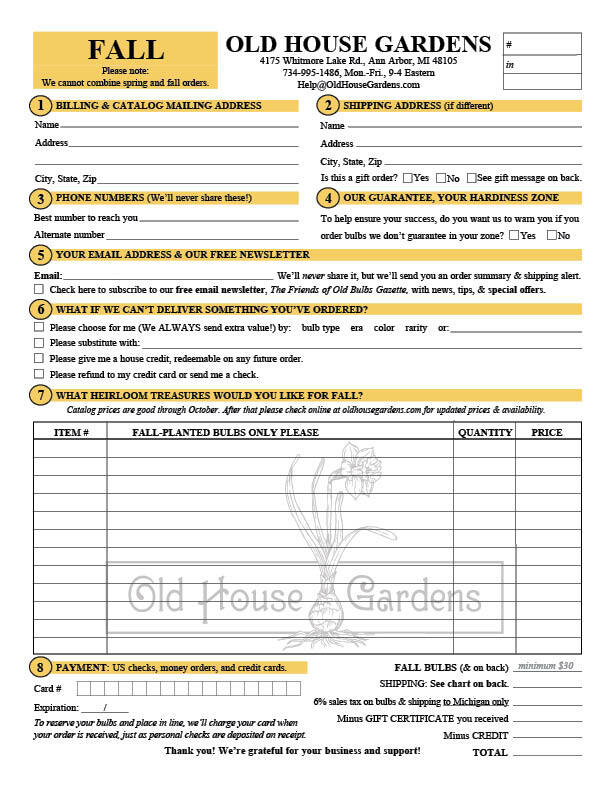 Or if you’d prefer, email us at help@oldhousegardens.com.